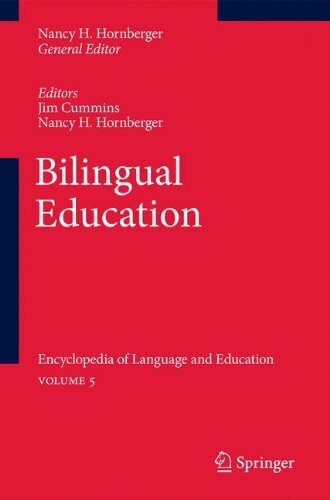 This volume addresses bilingual education, the use of two (or more) languages of instruction in education. Although bilingual education is available in some form in most countries, it is frequently the subject of political debate, especially where a bilingual program is set up to serve migrant populations. The volume offers • a thorough analysis of a range of conceptual issues in bilingual education. • discussion of research in the field since the 1920s and the conclusions that can be drawn from it. • chapters on illustrative bilingual education programs and policies from around the globe. This is one of ten volumes of the Encyclopedia of Language and Education published by Springer. The Encyclopedia bears testimony to the dynamism and evolution of the language and education field, as it confronts the ever-burgeoning and irrepressible linguistic diversity and ongoing pressures and expectations placed on education around the world. If you have any questions about this product by Hornberger Nancy H Cummins Jim, contact us by completing and submitting the form below. If you are looking for a specif part number, please include it with your message.